For Comfortable, Long-lasting Chairside Soft Relines. Thomas Bilsky, DDS Discusses the Benefits of Parkell's MucoHard & MucoSoft. Quick and easy soft silicone relines with no heat or bad taste. Creates instant comfort for the patient that lasts for years. Translucent pink color blends beautifully with most denture base shades. Hydrophobic formula reduces water absorption, discoloration, odor or stiffening with age. Uses standard 50ml auto-mixing gun which eliminates messy powder/liquid mixing. Special primer tenaciously grafts durable silicone to the denture base, to resist peeling, leaking and tearing. 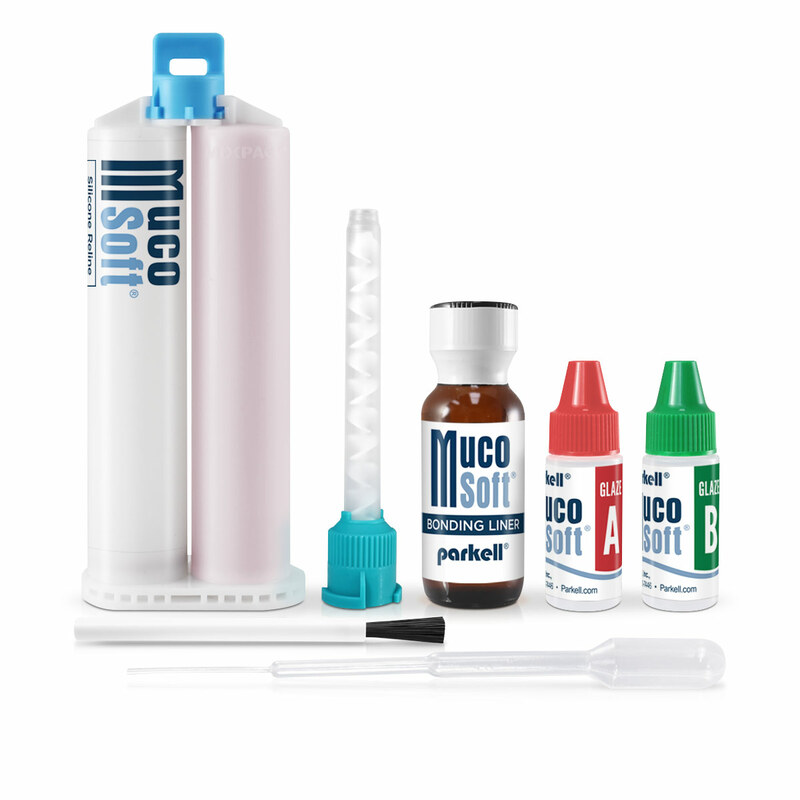 MucoSoft’s® flexible silicone formula won’t stiffen with age, providing your patient with cushioning comfort for years. The hydrophobic formula reduces water absorption for much less discoloration and odor compared to old-style, acrylic-based materials. Our special resin additives make MucoSoft silicone incredibly tough and tear-resistant. When coupled with our proprietary bonding liquid, exclusively synthesized in our on-site chemical research lab, MucoSoft chemically grafts itself tenaciously to most acrylic (methacrylate-based) denture base resins, helping to make peeling and leakage a thing of the past.